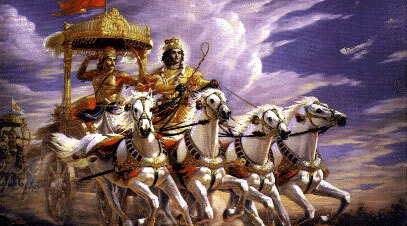 This is a song to the universal Guru, Krishna, who was also the charioteer of Partha or Arjuna, who has given us the immortal teaching of the Bhagavad Gita. Whose broad chest is adorned with the mark called the srivatsa. 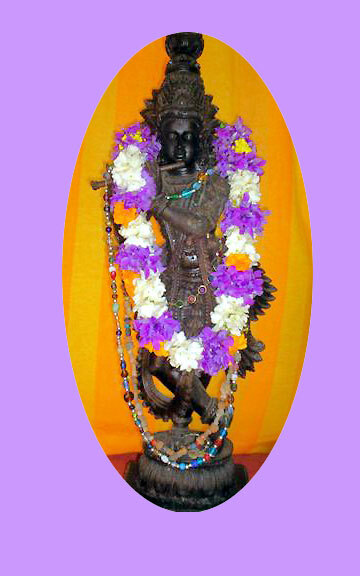 And who is resplendent with a vanamala (garland of wild flowers), round his neck. The Lord of the temple of winds (the human body). O Krishna! You are the supreme Guru and I am your disciple. 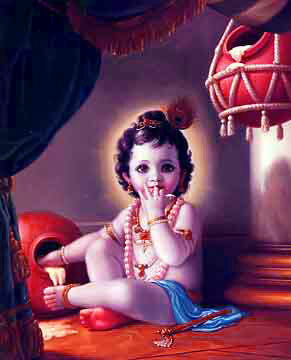 Hail to Krishna, the preceptor of the world! Ref. Guruvayoor is a town in Kerala, which has a famous temple of Krishna. Tum ho kaanha me vanamala. Tum ho saavaria mere pyaara…..Vanamali. Let me hear the music of thy flute. 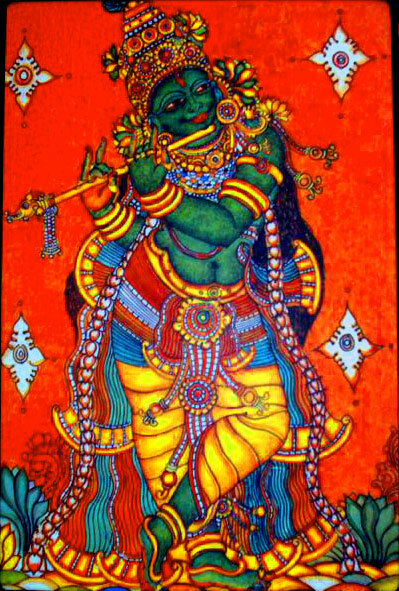 Thou art Krishna and I thy vanamala (garland of wild flowers). 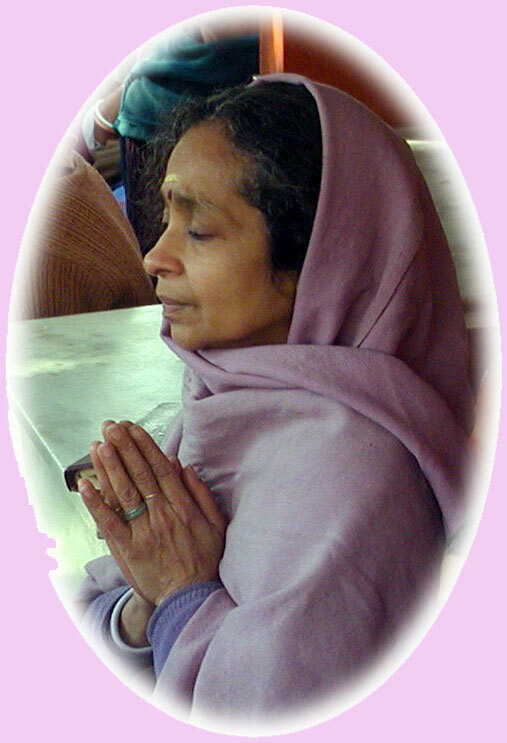 O Beloved Vanamali! How will you come to me? Will you come on a raft or on a cloud or in the chariot of my mind? How should I welcome the King of kings? What can I offer the God of gods? Countless are the garbs I have donned. Searching desperately for my lover. Sole support of the abandoned! Wilt thou not accept my wedding garland? And place the garland round her neck.? Oru swaram maatram kekkunnu jaan. One melody alone do I hear. O Vanamali! Thy beauteous form alone do I nurse in my heart. Wilt thou come and be rocked in the cradle of my heart? Wilt thou remove the darkness of my ignorance? Wilt thou come and play in the courtyard of my mind? One song alone do I hear. Vanamali Kanna, kanmubil nee varille? 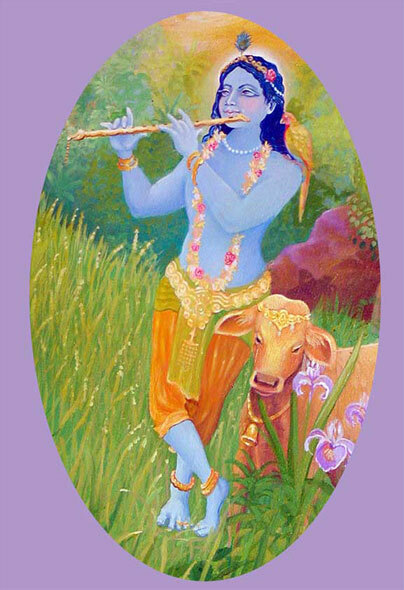 O Kanna (Krishna) with eyes like the petals of the blue lotus! Wilt thou not reveal thyself to me? Wilt thou not appear before me? O remover of all sorrows! Wilt thou not rescue me? O Thou who sleeps on a peepul leaf! O Thou of blissful countenance! O Thou with eyes like the petals of the blue lotus. O Friend! Will my beloved ever come? Will the lotus-eyed one come? Will he come in the chariot of my heart? 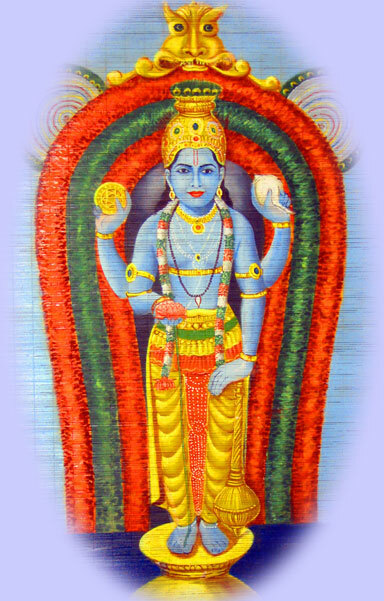 I will garland him with a Vanamala made of Tulasi, jasmine and white flowers. I will garland my love with a Vanamala (garland of wild flowers). 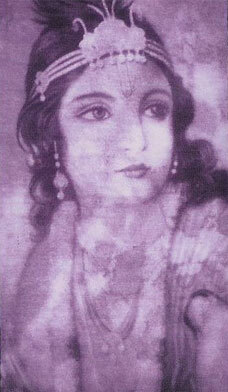 Will thou not come to me in the form of my beloved Vanamali? O Friend! Will my Vanamali ever come? I have gazed for such a long time that my eyes are brimming with tears. The flowers in the Vanamala (garland) are fading and falling. O friend! Will my Vanamali ever come to me? I even touched his soft hands. I kissed his beloved lotus feet. I heard, I heard the sound of the flute. Odi varu Kanna! 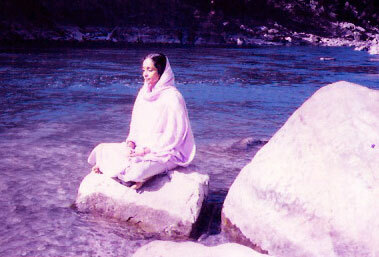 Priya Vanamali! O Shoure (Krishna)! Please don’t make me an orphan! O thou who art the sole support of the abandoned! Please don’t make me an orphan! How can I offer myself to thee? How can I be used in they puja? O Shoure! 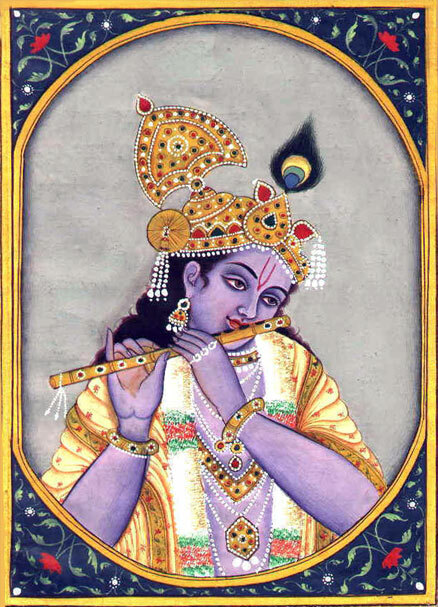 (Krishna)! Help of the helpless! And fell into a nightmare that lasted for eons! O Lord of Lakshmi! Wilt thou not stretch thy hand and haul me to the shore? O Ocean of compassion! Wilt thou not come running to save me? O thou delight of my eyes! No sons or grandsons do I have other than thee! Wilt thou not come running to me, my darling Vanamali! 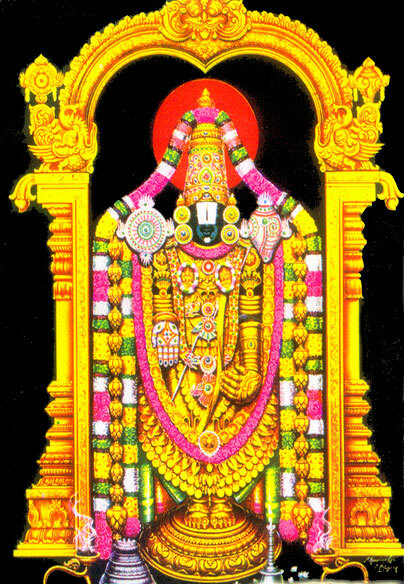 Venkatachalapathe (Lord of Thirupati)! Vanamali! Thou Lord of the mountain! Lord of the mountain! Lord of the mountain! Thou art the special incarnation for this age of Kali! Dweller on the seven hills. O Lotus-eyed King of Kings! In thy form as Rama! Priye! Krishna priye! Krishna priye! Priye evide thedunni, evide thedunnni, evide thedduni! O Love! Where have you been searching for Me? I dwell in your heart. Nor in chants and austerities. I don’t live in houses nor do I live in forests. My residence is your heart alone! Don’t you know that I am not to be found in temples or holy rivers? All through your journey, I was walking beside you. In the form of Vanamali! O Krishna! O Krishna! O Krishna! To thee! Only to thee! My prostrations, my salutations, my prostrations. To thee! To thee! To thee! 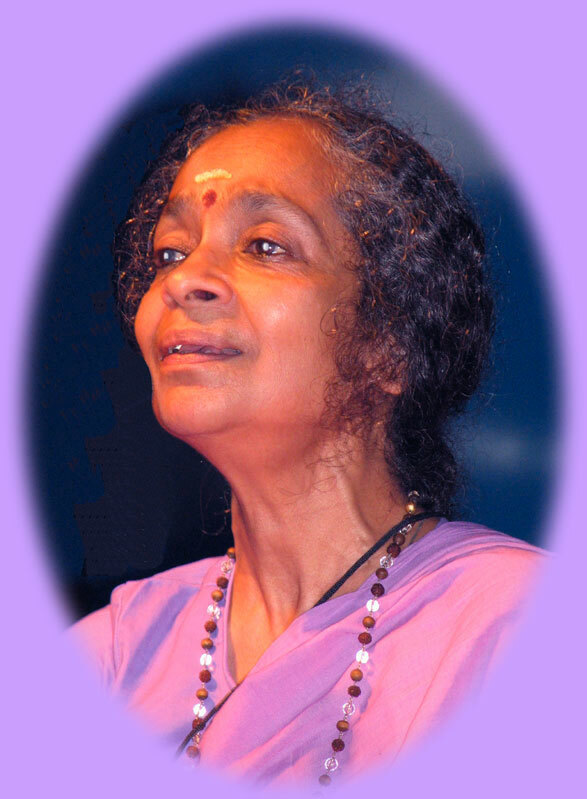 "So often ashram kirtan CDs are cut with the greatest of sincerity, but the results are disappointing. 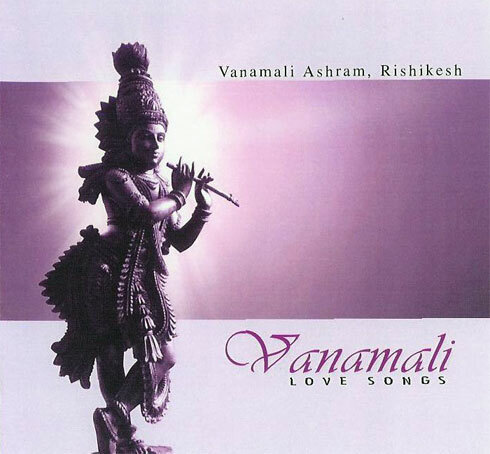 Vanamali's CD is an exception, one of the best I've heard. The musical accompaniment is superb, and Ma's voice is haunting and evocative. I just love it!" 1) Make a list of the books you are ordering. 2) Total the cost in Rs & add 10% for shipping & handling. from a bank with an office in Rishikesh or Dehra Dun.